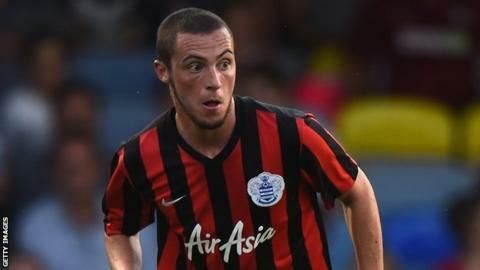 Luton Town have signed QPR defender Michael Harriman on a 28-day loan. The 21-year-old has made three senior appearances for Rangers and spent last season on loan at Gillingham in League One, playing 37 times. He also had a spell with Wycombe in the 2013-14 campaign and is a Republic of Ireland Under-21 international. "Michael is an excellent player and was a fantastic performer in League One last season with Gillingham," Hatters boss John Still told the club website. "Our problems in the right-back position have been well documented with both Paul Connolly and Curtley Williams unavailable through injury." Harriman added: "I'm really happy to have joined Luton. "It's a great club who did really well last season and you only need to take one look at their attendances this season to know just how big the club is."